This is the percentage of frozen embryo transfers (FET) that are successful for women my age at my fertility clinic, Conceptions. 68 out of 100 women leave with a baby in their arms. 32 women do not. In October 2017, I was diagnosed with rheumatoid arthritis (RA). 41 in 100,000 people have RA. In April 2018, I was diagnosed with diminished ovarian reserve (DOR), or lower egg quantity/quality, because of anti-mullerian hormone at age 32. I can’t even find any prevalence statistics for a young, healthy woman like me to have low AMH because it’s so uncommon. I’ve read that DOR is more common for women in their late 30s/early 40s and less common for women in their early 30s. Side note, I just read something here that said, “AMH levels probably do not reflect egg quality.” This is really good as the quality of an embryo is a factor in FET outcomes. I also just read here that, “Patients with autoimmune processes (e.g. systemic lupus erythematosis, Hashimoto’s thyroiditis) have a higher incidence of early ovarian failure.” That helps me make sense of why I have such crappy ovarian reserve at age 32…I have rheumatoid arthritis, an autoimmune disease. In April 2018, I was also diagnosed with subclinical hypothryoidism (SCH) that impacts fertility/pregnancy success. 4-10% of the non-elderly population in the US have SCH, according to this article. So approximately 7ish in 100 people have subclinical hypothyroidism. In May 2018, I was diagnosed with a unicornuate uterus (UU). All hail the unicorn! 1 in 1,000 women have a UU. In May 2018, I was also diagnosed with endometriosis. 1 in 10 women have endometriosis. Can you tell a difference between my left hand (left) and right hand (right)? My right hand is flaring today, and the middle joints of the three middle fingers are swollen and stiff. Ouch! 41 in 100,000. 7 in 100. 1 in 1,000. 1 in 10. So yeah, I can understand why I feel doomed for this upcoming FET. But there is a lot to be grateful for. My UU was diagnosed a lot more quickly than most women. It is expected that there are many women walking around with a UU and they don't even know it. Some women don’t know they have a UU until after they have complications with their first baby’s delivery. I work for an organization that supports me through this IVF process, allowing me time and flexibility to go to the millions of doctor appointments I have. After several back-and-forth phone calls and emails with the lead nurse and my new FET nurse at Conceptions, we have a date for the transfer! We are scheduled to transfer one of our embryos on February 12, just about four weeks from now, as long as my thyroid stimulating hormone (TSH) in on the downward trend. As you recall from my most recent IVF update on January 3, IVF Frustrations, my TSH levels were too high for a transfer at 3.6. They need to be below 2.5 before for a transfer. The lead nurse told me that if my numbers are trending down by my next blood draw on January 18 (this upcoming Friday! ), then we can proceed with the February 12 date. If my levels haven’t budged, we will have to cancel the transfer and deal with my thyroid first. Okay, I reckon I’ve spent enough time researching and mentally spinning in the basement for one Sunday morning. If you have anything positive to remind me of, please leave it in a comment below! I’m open to positive quotes, reflections on how lucky I really am, funny YouTube videos, memes that include a chubby baby, etc. Let’s get some positive neurochemicals traveling through my brain, why don’t we? Speaking of positivity, I was recently featured as Blogger of the Month on a website called Fertility Smarts. I answered some questions about my blog and infertility story. See below or check it out here! Hi! I’m Kristen, a speech language pathologist by day, blogger by night (and weekend and early morning). My life’s main mission: help people…and make ‘em smile while doing it. In my blog, I share my infertility story ever since being diagnosed with a unicornuate uterus…and low ovarian reserve…and endometriosis in May 2018. (Basically every diagnosis that makes it difficult to make a baby.) I aim to share my story in a light-hearted, informative, and authentic way. My husband, Cory, and I live in Denver, Colorado. We are goofy: laughing until our stomachs hurt as we sing our family's theme song we wrote together. We are existential: dissecting life and our emotions and our experiences for hours at our small dinner table. We are sentimental: saving every theatre ticket and hand-written note left for one another. We are open: sharing our infertility experience, the highs, and the lows, the hilarious and the disappointing. Q: How did your experience with infertility start and how has the story unfolded? After six months of trying to get pregnant, my OBGYN put me on Clomid, a (usually) harmless ovulation-stimulating medication. I ended up developing ovarian cysts that became hemorrhagic (read: exploded) and were so heavy that my ovary started to rotate like a twisting a water balloon. Unable to control the pain, we raced to the ER. The pain radiated from my lower right abdomen around my side to my lower back. As if one Clomid-inspired devil wrung my insides like a wet towel while another stabbed me over-and-over with a red-hot fire iron. After reviewing my MRI, the physician assistant came into my room and told me, without warning, that I had a “uterine abnormality” and that I was probably “infertile” because of it. BOOM. In the middle of my writhing pain, she decided to punch me in the gut with this diagnosis, a diagnosis she was unqualified to make and news she was inept at sharing. This was the day Cory and I stepped onto our infertility roller coaster. The past six months have been a blur of stressful ups and downs, of new diagnoses and hard decisions. I was diagnosed as having a unicornuate uterus, low ovarian reserve (AMH: 0.54) and endometriosis. In August 2018, we started our first IVF cycle. Because of my poor egg quality, we only had one genetically normal embryo from the first round of IVF (better than none!). And because my type of uterus has a 37% miscarriage rate, we decided to do a second round of IVF to try to get a couple more embryos just in case. We finished our second cycle in November 2018. When I was diagnosed with a unicornuate uterus and obtained my new “unicorn” status, my life turned into a nightmare. It was not a lovely dream where a kind-hearted unicorn sings Julie Andrews-esque melodies and poops delicious rainbow frozen yogurt. 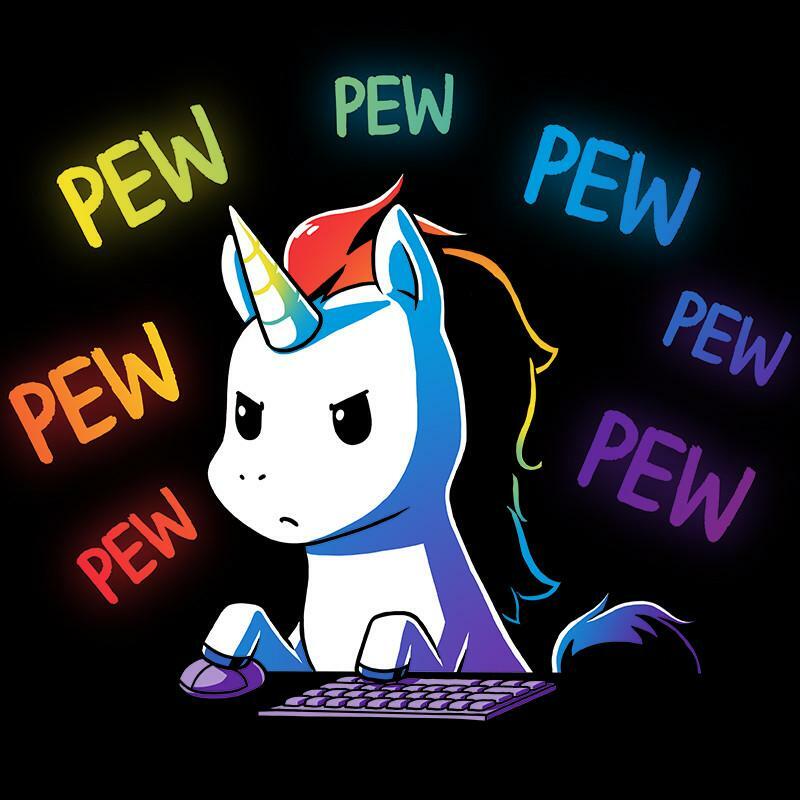 In was a nightmare in which a Dr. Frankenstein-created evil unicorn ravages an unsuspecting village by shooting laser beams from her eyes and puncturing townspeople with her razor-sharp horn. The unicorn in this nightmare was unwelcomed, unexpected, angering, and the bearer of the most severe grief. I started blogging to expel this literal and metaphorical unicorn nightmare from my mind. I used writing as a way to take the reins and break her in. That's the first reason I chose to start blogging: to help myself. But there was another motivator behind starting this blog: to help you. I started the blog to pave the way for you to embrace your "unicorns," the things in life that you’re learning to accept. Embrace Your Unicorn is a blog that uses the sharing of one’s story as a gateway to catharsis and to cultivate awareness, compassion, and community. Q: What are three words that describe your blog? Q: What's the story behind the name? I started my blog as a way to process and learn to embrace my unicornuate uterus, and thus Embrace Your Unicorn was birthed! I also share my experiences learning to embrace my other “unicorns” including disordered eating/exercise recovery, anxiety, rheumatoid arthritis, and people-pleasing-perfectionism. Q: What topic do you find yourself covering most often and why? My blog primarily covers the topic of infertility. I predominantly share my journey with IVF and my unicornuate uterus, and my guest writers share their stories about a variety of other infertility topics including miscarriage, stillbirth, IUI, and unexplained infertility. Since Embrace Your Unicorn is about learning to embrace all aspects of life that are challenging, other non-fertility topics have been covered include body image, eating disorder recovery, mental health (bipolar disorder, anxiety, grief), physical health (chronic pain), living as a highly sensitive person/empath, and teenage pregnancy. Q: Who is your target reader? My target reader is anyone walking through this messy experience of being a human. Anyone who wants to open their hearts to other people’s stories and grow their compassion. Anyone who wants to join a community of authentic, supportive, caring people. Q: What's unique about your blog? Every Wednesday I invite a guest writer to share her/his “unicorn story” on a range of topics. I love that there are multiple voices represented in the blog. Having guest writers and sharing others’ stories has taken Embrace Your Unicorn from being just a blog to a full-blown supportive community. We have a private Facebook group in which members consistently show support and love for people sharing their raw humanness. It’s a beautiful thing. Q: What was your most popular post ever? Why do you think it was popular with readers? My second and equally popular post, “Embracing My Disordered Eating Recovery Story,” was popular because of its vulnerability, rawness, and relatability. I shared how I started hating my body when I was only in elementary school and how it manifested to a harmful restrict-binge cycle and a bulimic episode when I was 30-years-old. My readers replied with a resounding, I feel the same way! Q: What is the best thing about writing about infertility? Every time I publish a blog post about my infertility struggles, I feel my shoulders relax and the heaviness that resides in my chest dissipate. I exhale the stress and inhale the freedom. The freedom that can only be found when your story no longer owns you. Every time I publish a blog post, I feel like my mind’s prison guard hands me the keys and I free myself from my cell. When I emerge from the darkness of the prison, I feel the sun wrap its rays around me like a blanket. I look around me and see other prisoners escaping captivity. I am reminded that I am not alone. That separateness is an illusion. That togetherness is healing. Every time I publish a blog post, I let go of infertility and take hold of community. Q: What is the worst thing? The worst thing about writing about infertility is that during a time in which I am supposed to keep my stress to a minimum, the act of putting myself out there for the world to see sometimes increases my stress levels because of perfectionist-driven obsession and fear of judgment. A few weeks ago, I woke up at 12:30 AM in a complete panic. My thoughts raced, like a frenetic motorcycle darting between lanes on the highway. Everything is out there. My whole life...for all to see...for all to judge...is out there. Online. Nothing is private anymore. I felt embarrassed and exposed. Despite the positive and encouraging feedback I have received from countless supporters, I still feel a tinge of insecurity and unease every time I hit the “share” button. Maybe it stems from the fear of judgment from faceless people behind their screens or the lack of acknowledgment of my posts or my fertility journey in general from a couple of my friends. Q: What's the best tip you have to offer someone struggling with fertility issues? Talk about it...with people you trust...in spaces you feel safe. Don’t let our patriarchal society tell you that you have to carry the burden of your struggles silently. Gently rebel by sharing your story and releasing yourself from your prison cell. You are not alone! Join us out here in the sunshine. Join the Unicorn Community on facebook, instagram, and beyond!